A Dirty Dining repeat offender--a deli and bakery first featured in 2017--is back! As 13 Chief Investigator Darcy Spears shows us, so are the cockroaches. LAS VEGAS (KTNV) — A Dirty Dining repeat offender--a deli and bakery first featured in 2017--is back! As 13 Chief Investigator Darcy Spears shows us, so are the cockroaches. When a restaurant is downgraded to a C, that's the lowest grade it can get before being shut down. Failed re-inspection from a C grade results in closure and that's what happened at Dakao bakery and deli on Spring Mountain near Lindell. Dakao was shut down January 10 due to repeat critical and major violations after getting a 30-demerit C grade on its previous inspection December 20. On that date, inspectors saw live and dead roaches, dirty walls and floors and dirty, greasy surfaces. When inspectors went back on December 26, there were still roaches and Dakao was required to do a full, deep cleaning to keep the bugs at bay. During re-inspection on January 10, despite a pest control treatment two days prior, inspectors wrote up a repeat violation when they saw numerous dead roaches and two live ones. There were also repeat violations for for holes in the kitchen walls and ceiling, water leaking and pooling under the sink and accumulated grease and food debris under equipment--all of which are conditions inviting to pests. The person in charge told us the owner and manager were running errands with no time to talk and no idea when they'd be back. We explain that we just need the person in charge and he responds, "I don't know if it's like that because it's not like a formal restaurant where there's like an owner and manager and things like that. It's just like--it could kind of like run itself." Maybe that explains the deli case patched together with Styrofoam and scotch tape or the eight pans of food that had to be thrown out after inspectors found them in the temperature danger zone. There was also no sanitizer at all in open food areas during active food preparation. When Dakao was first on Dirty Dining in November, 2017, a customer had filed a formal complaint with the Health District, writing, "I found a cockroach in my sandwich as I was inspecting it for jalapeno peppers! I had already taken a few bites and almost threw up!" 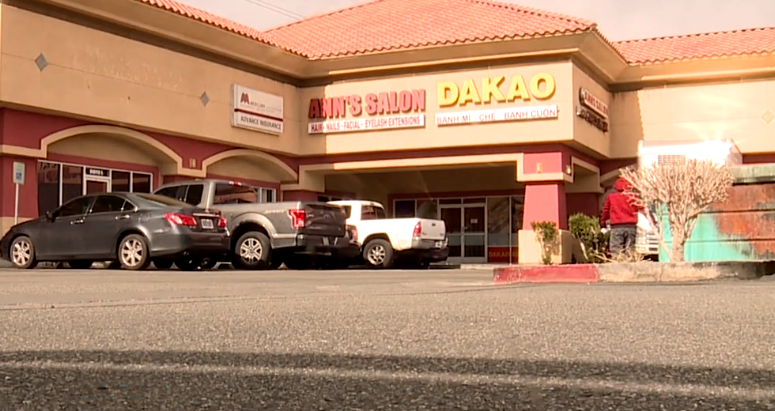 Inspectors verified that complaint and shut Dakao down after finding roaches "Scurrying around" and an active multi-generational infestation. Dakao re-opened with an A grade on January 14. Neither the owner or manager called back after we left our contact information. There was one other closure at a Walmart superstore for an imminent health hazard. Walmart superstore on Charleston and Arville saw its produce department shut down January 7 for no hot water. That meant they couldn't prepare, process or wash produce in the area, but were allowed to sell whole and pre-packaged fruits and vegetables in the market. Inspectors also found open rodent snap traps under the sink. The health District requires rodent bait to be in a covered bait station. They received a 3-demerit A grade on January 11. Store management declined comment.